It’s county and state fair time around the country – one of my favorite times of year. 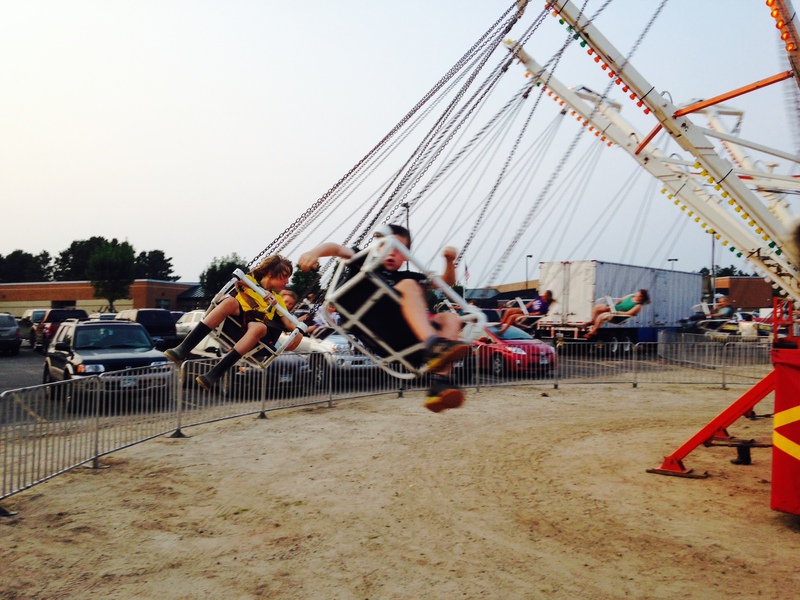 I’ve been to county fairs in a few different states but my heart will always belong to the Clearwater County Fair, the fair I grew up with and the one my kids now adore. I love everything about a county fair: the midway, the demolition derby, bluegrass bands made up of old farmers, and the animals, but being a 4-H kid at the fair was always the highlight. I was a 4-H kid growing up and loved it. 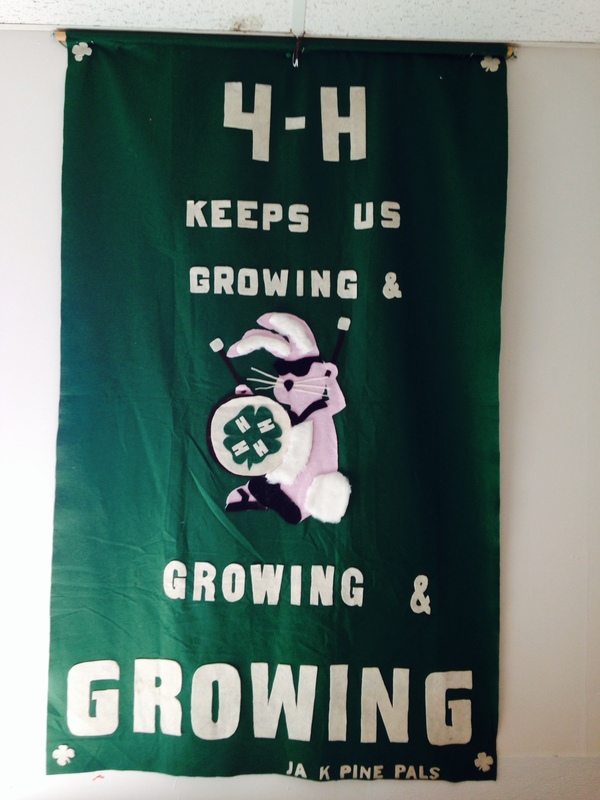 We had monthly meetings (where the moms always provides brownies, kool aid, and finger jello), we did volunteer activities, and there were camps, but the fair has always been the epicenter of the 4-H world. As a 4-H’er you submit projects to be judged at the fair, in all kinds of categories from photography to baking to showing sheep to horse competitions. 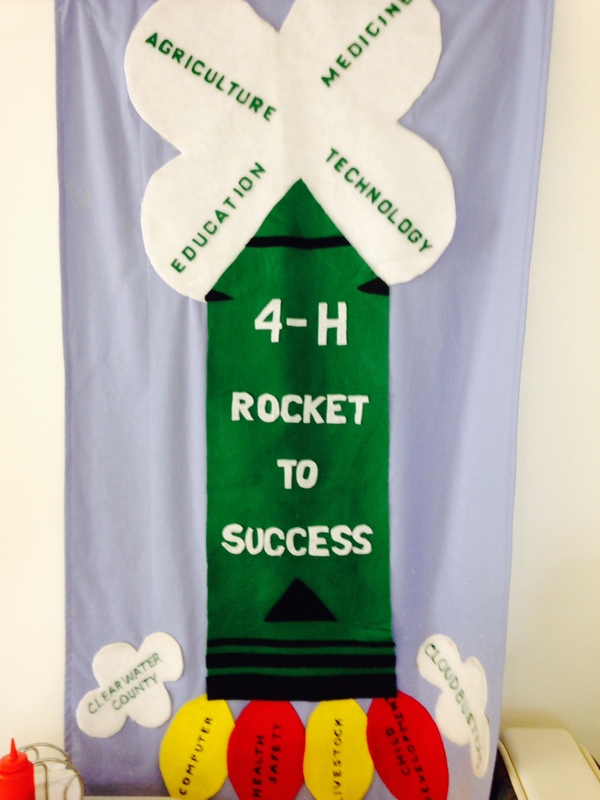 Every 4-H kid gets a ribbon for their effort – a blue, red, or white one, each with a small dollar value attached to the prize. Of course, those dollar amounts could actually get pretty decent in the animal competitions (one year I won $80 for showing my horse, which was a large sum of money for a poor farm kid). 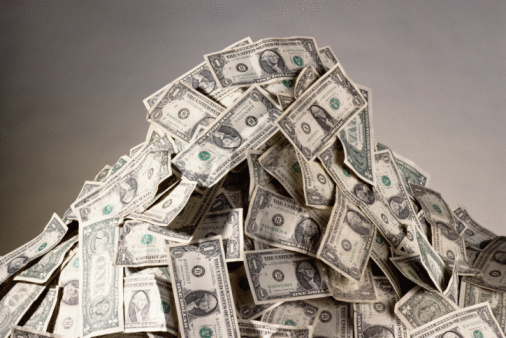 And the best in each competition then go to the state fair to compete against the best from other counties, where the dollar amounts and bragging rights get even bigger. So maybe you see where this is going. Even in the wholesome world of 4-H, competition can get intense. In one case, the Eight Circuit Court of Appeals had to get involved just a year ago to rule on a case involving a 16-year-old girl who was banned from participating in 4-H livestock competitions because she had allegedly violated the 4-H code of ethics. Kroupa v. Nielsen, 731 F.3d 813 (8th Cir. 2013). She had been accused of showing a pig at the 2011 South Dakota State Fair that she hadn’t taken care of that season and that had previously competed at the Missouri State Fair – both no nos, especially when it’s the winning swine at issue. She learned of this ban by letter from a secret committee of the South Dakota State University Cooperative Extension Service, which had reached this decision without giving her notice or an opportunity to be heard. Her father sued, claiming her constitutional right to procedural due process had been denied (the 4-H program in South Dakota is run by SDSU) because she had not received notice of or the right to be heard at any hearing before being banned from competitions. The district court issued a preliminary injunction preventing the 4-H officials from banning the teenager from participating in any competition while the merits of the lawsuit were decided. This meant she could participate while the lawsuit was ongoing, but the 4-H officials appealed the preliminary injunction at the same time (they apparently wanted to keep her out of all competitions immediately and didn’t want to wait to do so until after they won the lawsuit). The question of the preliminary injunction went up to the 8th Circuit. Why is a question over a pig competition being so heavily litigated, you might wonder? Because, unlike the $80 I made with my horse at the 4-H horse show when I was a teenager, the teen in this case was making serious money in her livestock competitions, having already won over $20,000 in prize money. A preliminary injunction is a temporary order – one which either orders someone to do something or (more commonly) prevents someone from doing something. In this case, the injunction meant that 4-H couldn’t ban the teen while the court was hearing the actual case. In deciding a preliminary injunction, the court has to consider (1) the threat of irreparable harm to the party seeking the injunction (e.g., the teen in this case); (2) the balance of that harm to the harm that will be suffered if the injunction is granted (e.g., the harm to 4-H if she’s allowed to compete); (3) the likelihood of success on the merits (e.g., how likely is it that the teen will win her case); and (4) the public interest (e.g., how much does the public care about 4-H banning someone from competing). The Eighth Circuit went through all of these factors to determine whether the preliminary injunction should be upheld. The underlying case actually involved the teen’s claim that the government (SDSU) had violated her constitutional due process rights by impacting a protected liberty or property interest without due process, which can include the removal of a “right or status previously recognized by state law.” The question in this case, therefore, was whether participation in the state-sponsored 4-H organization and its livestock comeptitions was a “right or status” protected by the Due Process Clause (so that she had a protected right to a certain procedure before the right could be impacted). The appellate court held that being deprived of the opportunity to participate in a public program that was important to her education and career goals and that gave her significant personal income without notice or hearing was a due process violation (or, more accurately, the Eighth Circuit found that she would likely be able to win on this legal point in the actual case back at the district court). After going through each of the remaining factors point by point, the appellate court held that the district court had not abused its discretion in granting a preliminary injunction to the teen, so that she could participate in other livestock competitions while her suit against 4-H was ongoing. After the Eighth Circuit issued this opinion, the parties continued their fight in district court, with that court making some legal determinations without resolving the entire case last winter. So the case may still be proceeding, although I can’t find anything else online. It’s sad to see this happening, although as a litigator I know that anything can turn into a lawsuit. As a 4-H fan I just hope that they can reach a resolution of this issue that lets the teen move on with her agricultural career and doesn’t drive her family away from 4-H forever. 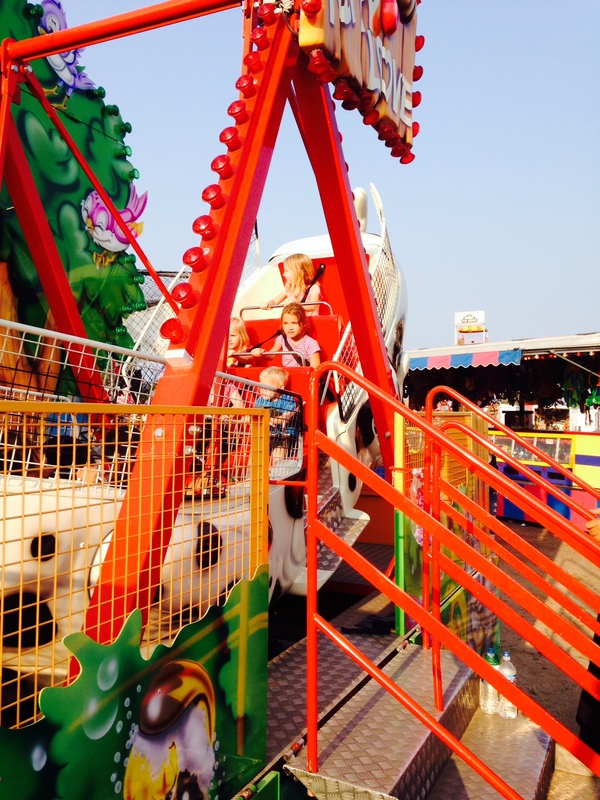 The fair should be a happy place for everyone, especially 4-H kids!